Your Anita Goodesign Online Collections! Once you’ve purchased your Collection, how do you download it to your computer? Follow these step by step instructions to learn how! On the home page, click the “SHOP” page button on the top navigation bar. Navigate to the product you’d like to buy and click on the pack cover image. That will bring you to the product page. Once you’re on the product page of a product you would like to purchase, click the “ADD TO CART” button. You will get a notification verifying that the Collection has been added to your cart! 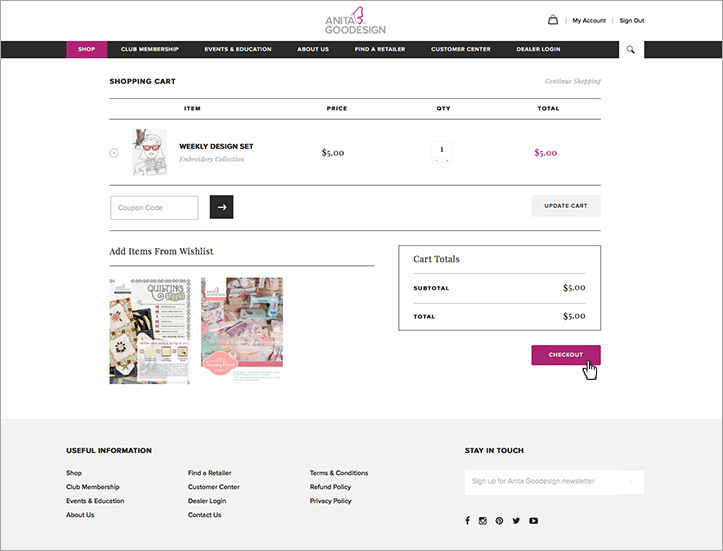 Click the “VIEW CART” button to navigate to your cart. 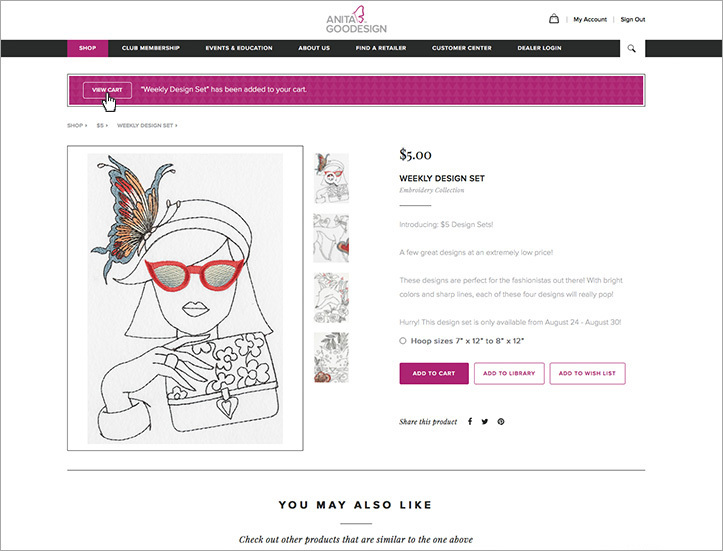 Once you’ve added all of the designs you would like to purchase to your cart, simply click the “CHECKOUT” button! Once you click “CHECKOUT”, you will be taken to the secure checkout page. 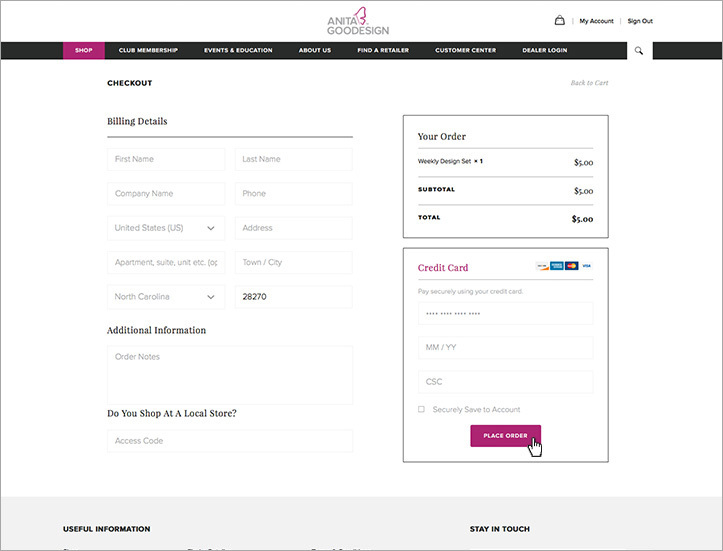 Here, you will enter your billing and payment information, as well as your Dealer Code if you have one! Dealer Codes are used by our Gold and Elite Dealers so we can attribute their customers’ purchases to them and they receive a portion of all sales made using their special code! Dealer Codes are not required to make a purchase. 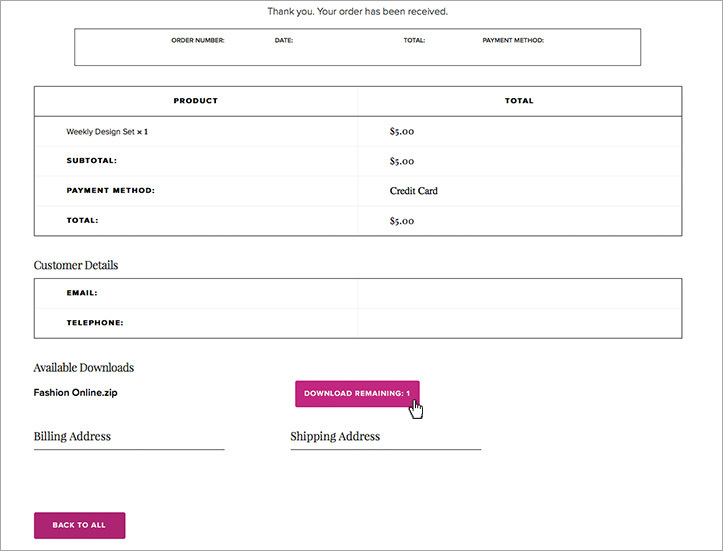 Once you’ve entered all of your information, click “PLACE ORDER” to submit your purchase! Once your purchase has gone through, you will be navigated to your order! Here, you can download your Collections to your computer! For most computers, once you click the download button it will automatically save to your “Downloads” folder. Sometimes it will ask you where you would like to save the files. If this is the case, navigate to your folder of choice and save your designs there! 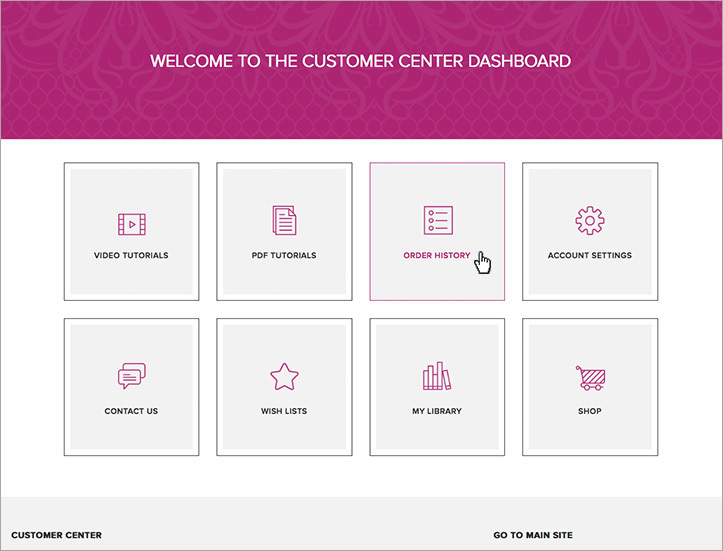 If you choose not to immediately download your designs, you will be able to access them from your “ORDER HISTORY” in the Customer Center! 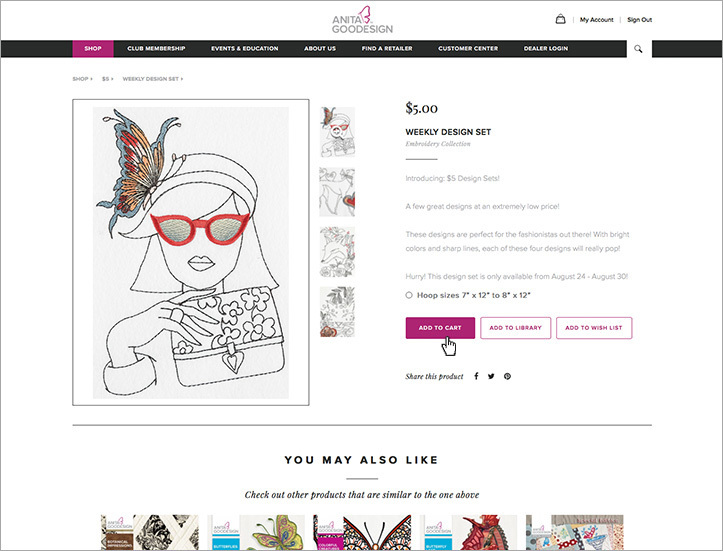 Now you can download all of your favorite Anita Goodesign Collections! 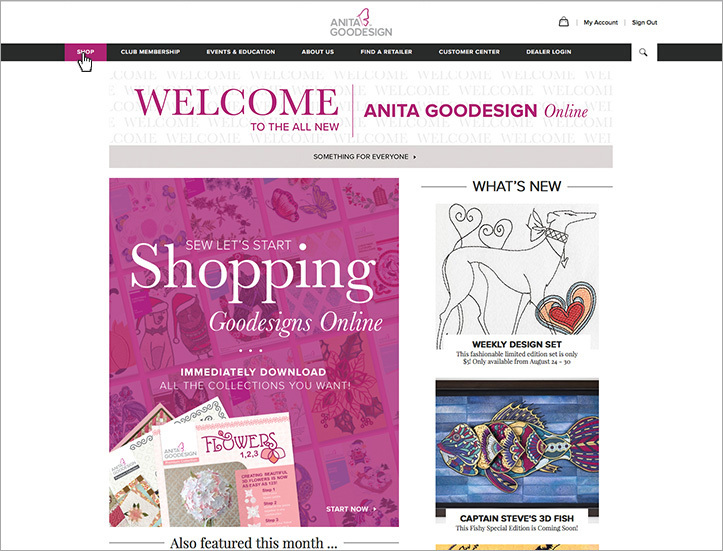 Start building your Anita Goodesign Online library with with this guide! Make your Anita Goodesign Wish List! Learn how here! Still need to register? Click here to see how!